Valid till 31st August 2015. Offer cannot be clubbed with other offers/schemes. 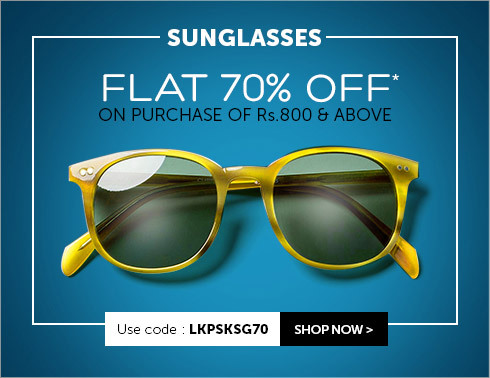 Voucher valid on purchase of Rs.800 & above. 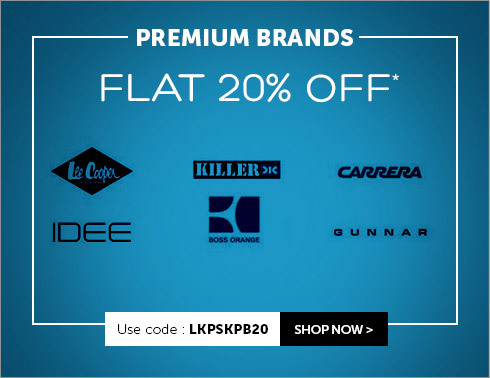 Offer Valid on following brands : Art Aryca, Baolulai, Bloom, Chhota Bheem, Cyprus, Dakota Smith, Excellent, Eye Player, Farenheit, Feike Sports, Hello Kitty, Ifconj ,Kagawa, Lenskart, Parim, Retain, Soul 9, Sport, Tommy Style, Vincent Chase, Youngstun, Vincent Chase Premium. Vincent Chase, Lewis Hamilton, Polar Man, Club Master, Mask, Rivanchy. Voucher valid on purchase of Rs.1500 & above. 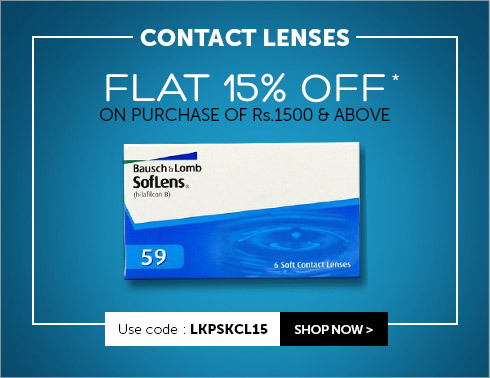 Not valid on I-connect (Bausch n Lomb), Cooper Vision Contact lenses & Lens Solution. 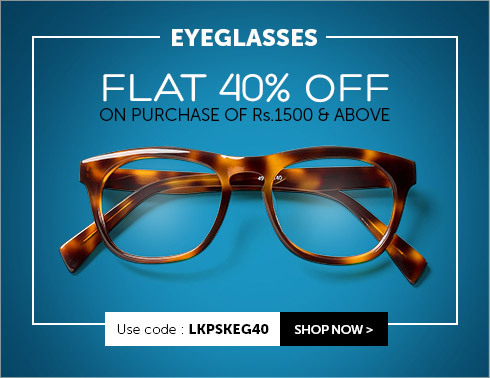 Not applicable on Ray-ban, Oakley, Vogue & Fastrack.